Beautiful picture Rich!!! Well done! Good long-lens landscape - perfectly exposed and good composition of a very nice, peaceful looking scene. Didn't need to title this one, this could be printed on a ceramic ornament, or be the front of a holiday greeting card. Nice shot! A winter scene to delight in, it's good very good! Wow! Very striking! The trees are a bit oversharpened as I view it, but the constrast throughout is very good! I can't decide if I want the top trees cropped out... or not. I've stared at it for a long time. LOL! So... I'm just gonna give you a 9 and move on... loving this one! The colors are FABULOUS popping out of that white. Excellent image. Well balanced composition (harder to achieve than it looks), snow nicely exposed to look white enough but still show detail, repeating rhythm of fence posts keeping the beat across the fields while the brush and branches support the reddish-brown visual melody. 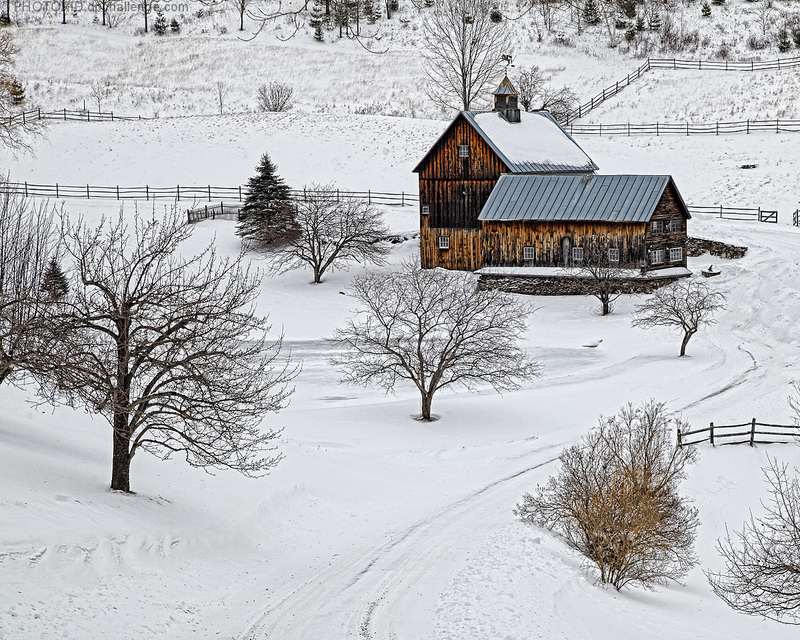 You present us with a classical rural winter scene that is easy to enjoy. Proudly hosted by Sargasso Networks. Current Server Time: 04/24/2019 02:00:21 AM EDT.